Montana has many fine luthiers, building all manner of custom stringed instruments. In quest of having an electric pickup installed in a custom acoustic guitar, my husband & I were invited into the inner sanctum of a renowned Missoula luthier. 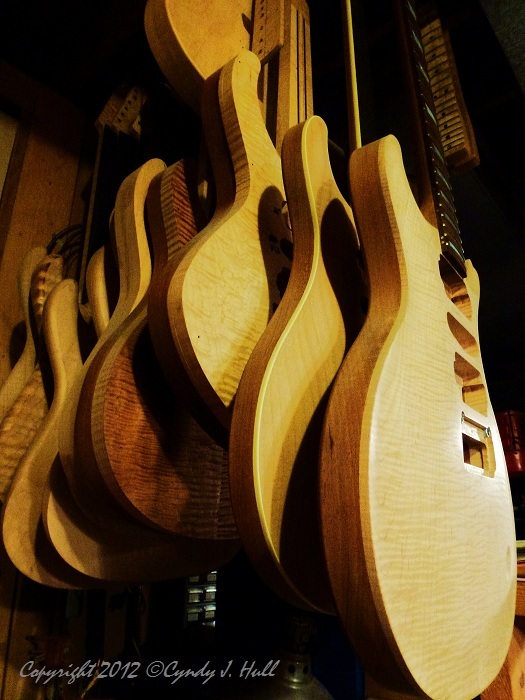 As you can see, the in-process guitars are incredibly beautiful. I was captivated by the form and line, by the grain of the different woods used.